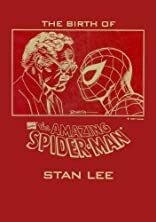 In celebration of the 35th anniversary of Spiderman and the 75th birthday of Spidey's creator, Stan Lee, we have issued this limited collector's boxed set. Included in the collectible box is a reproduction of the first Spiderman Comic (Amazing Fantasies #15), a CD featuring a reading of the story by Stan Lee and an interview with him, and a special ring. These sets in this limited edition include a certificate signed by Stan Lee himself.